This article examines the kinds of spaces that lend themselves to the participatory learning we seek in the learning commons. It reviews the best learning experiences and backtracks to try to uncover the possible elements that lead to success. It also analyzes the qualities and skills of the professionals leading this work and captures the dynamics that seem to drive the best results. To have a long-term systemic impact, libraries must continue to transform to meet the changing needs of its community. Librarians must exercise their leadership to create programs that are fit and flourishing. A plan that prioritizes the mission and vision of the library will help guide the program through necessary changes including moving out during a renovation. 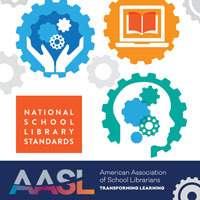 As instructional partners, school librarians collaborate to plan, deliver and assess instruction that infuses technology and information literacy skills into the curriculum. We understand how to implement this role in the physical space, but not as well in digital spaces. 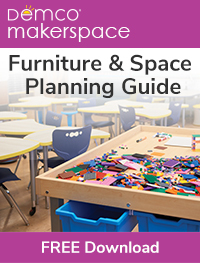 This article defines and explores the instructional potential of digital spaces. Every school library should be accessible via the Web and mobile devices in order to meet the needs of 21st-century students, and to enable the school librarian to extend their services outside the library walls. 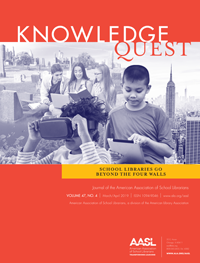 This article explores resources and strategies for school librarians to expand and enhance their school library poetry collections, particularly high school collections.